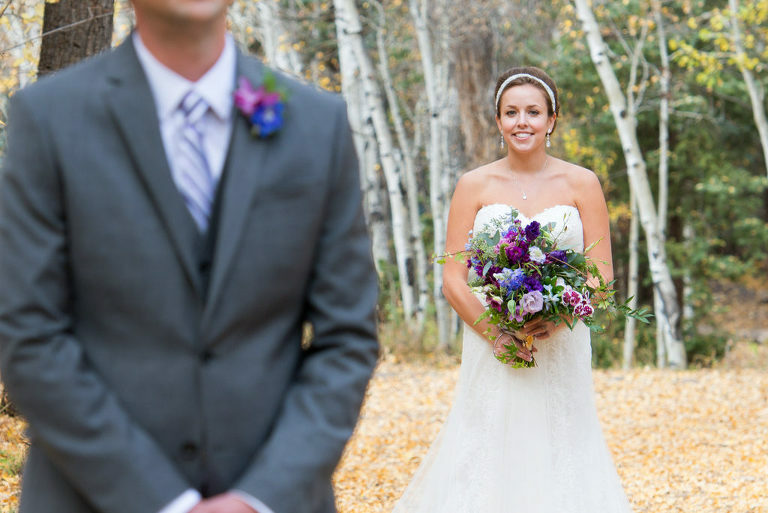 Riveted Photography’s favorite Colorado destination for shooting weddings is Telluride. 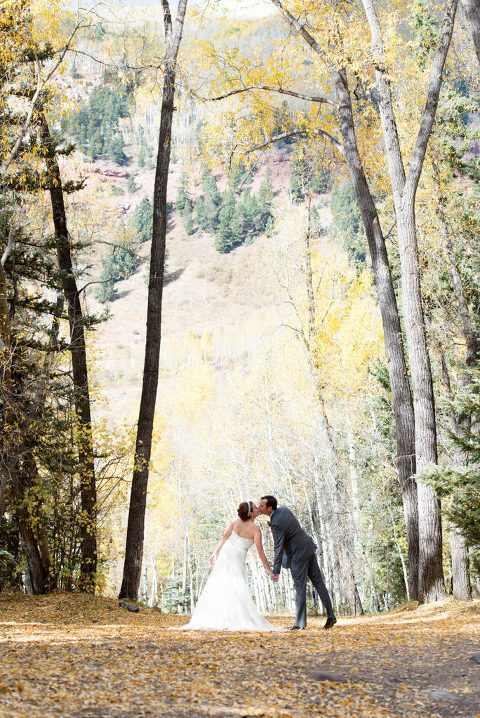 Riveted Photography is a Telluride wedding photographer based out of Denver, Colorado but we never turn down a chance to visit one of our state’s most beautiful locations. 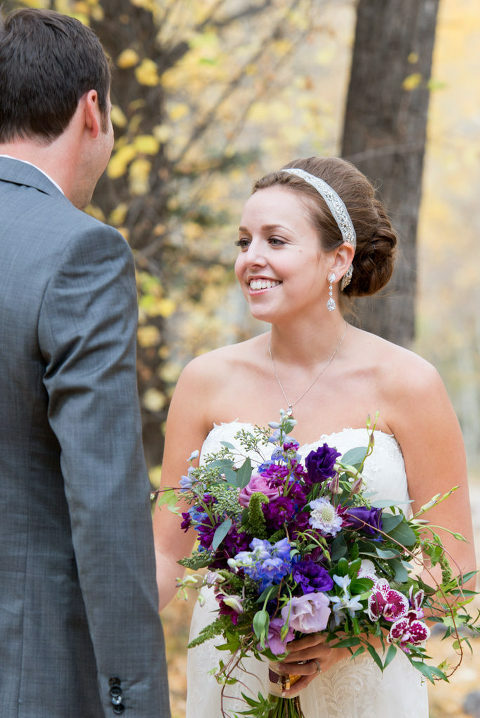 Capturing epic love stories in the Rocky Mountains is one of the reasons why we love being wedding photojournalists. A wedding in Telluride is the definition of rustic elegance with its breathtaking views of the Wilson Mountain Range as your ceremony backdrop on one of many decks at Gorrono Ranch. The old Victorian town is full of history, charm and is completely surrounded by some of Colorado’s most difficult 14ers. 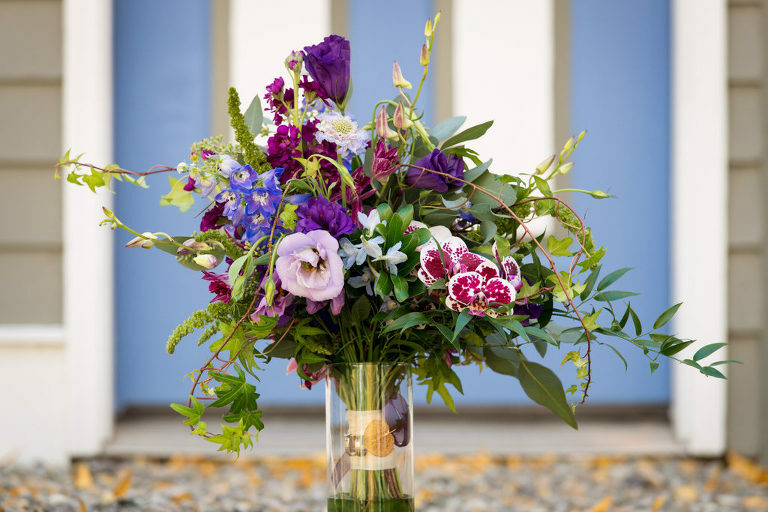 Telluride wedding bouquet with orchids and ivy. 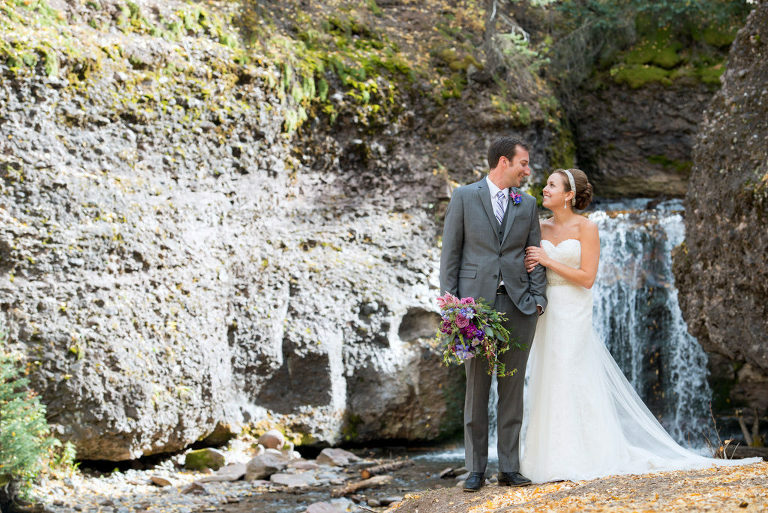 Bride and groom first look near Telluride waterfall. Bride checks out her handsome groom near Gorrono Ranch.